Fair warning: If you’re of the mindset that automated mastering services should not exist, are evil, or are destroying the creative essence of music — this article is not for you. Yes, people genuinely believe that programs that apply processing over your mix through an automated system are in fact harbingers of the robotic insect overlords. It seems to me that a few folks might have felt the same way during the advent of the steam engine, and the sewing machine, so perhaps this shouldn’t be a surprise. For me — automated mastering is awesome. I’ve been using a service called Aria Mastering consistently for about four months now and I’m loving it. Ok, so what is automated mastering? 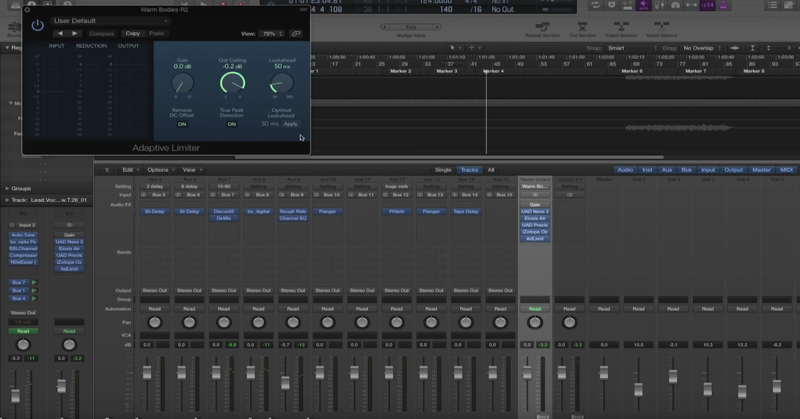 An automated mastering service is a program that analyzes a mix, creates a set of processing for that mix which is intended to improve the sound and make the playback level louder, and then applies that processing. It basically does what a human mastering engineer does to a single song, minus the “human” part. S@$*, I can hear the villagers grabbing the pitchforks. Yes — I hear you. Music in all facets is a fundamentally human endeavor, and how dare a machine attempt to replace humans. Well, the reality is, they’re starting to get pretty good at it. Here’s the rub: the vast majority of the emotional energy of a record is present before a mastering engineer touches it. Which is not to say that a great mastering engineer won’t bring that energy to light and make a record really sing — they will, because they are human and more importantly good at their job. But that doesn’t mean we can’t necessarily get away with a robot doing a reasonable emulation of that job. And I could argue about this back and forth all day and defend my reputation as an engineer, but frankly I’d rather just get to showcasing a few automated mastering systems and let you decide what you’d like to do for yourself. Feel free to flame me in the comments, I’m getting used to it. I’ve picked three services: Aria, LANDR, and ProMasterHD, as I believe these services are at the forefront of this conversation. Not to discount other services which are out and about — there’s just only so much room to talk about this stuff. In each example, I’ve uploaded three mixes and had the automated system turn around the results. I’ll put up the mastered mix, as ultimately that’s the most important aspect of all of this, but also provide some information regarding what each service offers, price points, and things of that nature. LANDR is probably the most well known of the automated mastering services. Launched by MixGenius in 2014, it’s grown into a multi-platform service that boasts over two million songs processed. LANDR has a couple very unique and interesting ideas — the first is that it evolves, the second is that it detects genre. LANDR figures out what style of music it’s processing, compares it to other songs within the genre, and then adjusts the sound of the mix based on these factors. In use, LANDR gives you a standard processing version preview of your record with options to either go for “Low intensity” “Medium” or “High intensity” — each targeting a desired loudness of playback. The pricing system is a bit complex as there’s both a single-use service and a subscription service. The single-use service is $10 for 16-bit WAV files, which is CD standard. There are entry level price points for MP3s that are cheaper and an up-sell for a 24-bit file for $20. For most purposes 16-bit WAV would be appropriate. The subscription service has three tiers: a $4/month service for 192kbps MP3s (frankly I would ignore this option), a $10/month service for unlimited 320kbps MP3s plus a discount on WAV files, and $25/month for unlimited 16-bit WAV files. So even doing a full length album, the price really need not exceed $25 for a complete project. The approximate run time per song is under fifteen minutes. ProMasterHD is actually one of the earliest members of the game. Their tech was in development long before online mastering was “a thing,” and ProMaster actually launched several years before LANDR hit the market. Aftermaster AudioLabs itself is a multi-faceted company. The company was founded by entertainment-tech veteran Larry Ryckman and renowned engineer Shelly Yakus. They are joined by electronics legend Paul Wolff, as well as Justin Timberlake and Rodney Jerkins. Aftermaster is a tech department and production facility, with an audio engineering team and a top-of-the-line recording studio. The tech development side of Aftermaster leans very heavily on the input and design of the producers and engineers. The ProMasterHD system was developed using the same tech as their “Aftermaster Pro” device which enhances the quality of consumer audio systems (TVs, iPads, phones, etc), but hand-tuned by Shelly Yakus, Peter Doell, and Ari Blitz to function for music. In use, ProMasterHD is very easy. You upload and the system simply runs the record and returns four mastered versions. The user receives free 90 second previews of each version before being prompted for purchase. One is “Powerful” which is a louder playback, one is “Radio Ready” which is a bit more conservative, one is “Bass Enhanced” which is self-explanatory, and one is “Vocal Enhanced” which as the name implies, brings the vocals forward. The pricing is equally as straightforward: a $10 purchase gives the user access to all four masters. This purchase includes both WAV and MP3 formats as well as ISRC encoding. DDP creation and MFiT are both available for an additional charge. The approximate run time per song is under an hour. Aria is the latest player in the game. It was developed by Colin Leonard, owner/operator of SING Mastering. This system is particularly unique because while it implements digital detection and digitally automated parameter adjustments, the actual signal processing itself is a 100% top-of-the-line analog chain. Aria Mastering was tuned by ear by Colin to his specification and aesthetic (which, if you’ve worked with Colin, is fun because you can hear a bit of his personality in the sound). In addition, Colin received a great deal of feedback and fine-tuned his system with the help of his esteemed music friends: Phil Tan, Fabian Marasciullo, Blake Eiseman, Rook Flair and some random dude named Matthew Weiss. In use, Aria has a bit of a curve. There are four settings that are meant to reflect different mix approaches, particularly in regard to the amount of dynamic range management being incorporated into the mix process. If you aren’t familiar, some styles of music are very dynamic (Indie-Pop, Singer-Songwriter) while some styles are near flat-lined at the mix stage (EDM, Top 40 Pop). There is an option to re-master on a different setting at no additional charge. I’ve done a video on the subject for further clarification. Aria has a single use purchase for $35, or two tiers of subscriptions: $100/month for 25 songs and $250/month for 100 songs. The approximate run time per song is under ten minutes with an option to run full albums in one go. ISRC encoding, DDP creation, and MFiT for an additional charge. A couple more notes before bringing this article to a close. First, in making comparisons it’s important to note that my mixes are fairly decent (maybe even “good”). The balances feel right, there’s no abhorrent distortion or weird frequency stuff. I can’t speak on how a bad mix will fair. Second, I can only speculate on the uses for these services — cheap mastering for people who can’t afford the real deal? 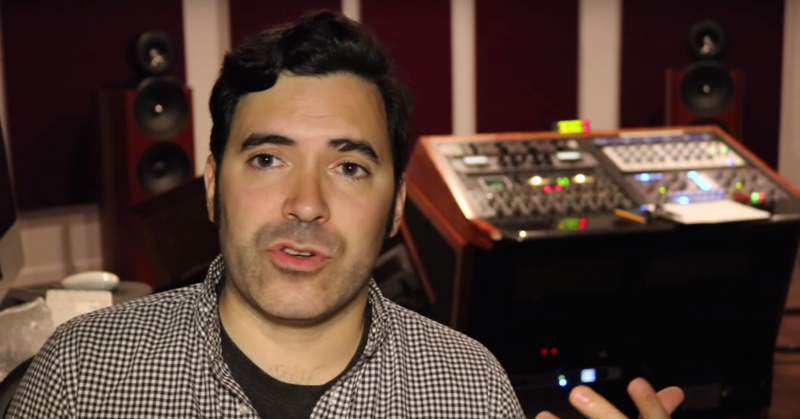 Making highly competitive reference masters for clients during the mixing process? Who knows. More importantly I think it’s important to highlight that automated mastering is a viable option, and if it rings your bell, go for it. If it’s not your cup of tea — again comment section is primed and ready for flaming me.